Kedge Sailing Team is a student's association from business school. In 2018, 23 association members will attend the 50th Edhec Sailing Race considered as the most prestigious student regatta in Europe. In order to get organized they use Azendoo for project management. 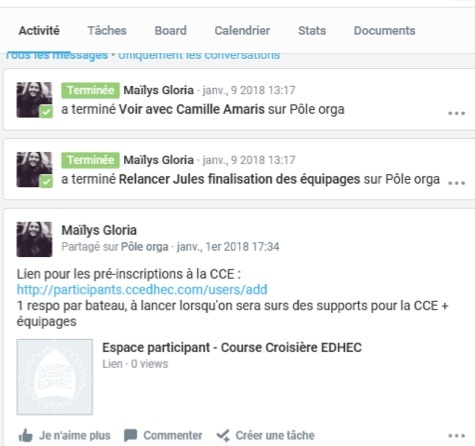 We recently had the chance to interview the project leader Mailys Gloria who explains how they are making use of Azendoo. Could you tell us a little about you and your association? Kedge Sailing Team is a student sailing team association from Kedge Business School. Our association includes 23 members and our goal is to make sailing more accessible to every student at our school. At the same time, we’re participating in the 50th Edhec Sailing Race, the most prestigious student regatta in Europe. Our goal is to compete with all 3 of our boats to defend our title at the 49th. To get there, we split our team members between different hubs: partnerships, events, sport and logistics, communications, treasury, secretary and project manager. We want to implement efficient communications as well as an optimal information process that let us respond quickly and concisely to requirements. How were you managing the project internally before using Azendoo? We had all the needs that led us to Azendoo, which is why we started using Azendoo in the middle of the project. Before changing we used to go for social media to communicate internally with different groups and conversations. But that got complicated, we had one group with everyone on the project, one group for the office (with those responsible for each task), others, all groups with a different conversation going on. Azendoo offered us efficient communications. Messages are clear and concise, tasks assigned are visible to everyone and so we can see the whole project’s progression. How did you first hear about Azendoo? We heard about Azendoo thanks to Wax It, a surf and boardsport association at our school that we share some common points with. We chose Azendoo because we found it efficient, with lots of different features. It lets us ensure that we’re following-up on global projects. And in our opinion the product is very intuitive. Why did you feel Azendoo was right for you? Plus task calendar let us organize over certain time periods depending on different deadlines and so we have a better view of different projects’ milestones. How did you implement Azendoo in your structure? Our project manager talked about the idea of implementing Azendoo to lead our project. Then we voted with the different members of the association (project manager, team leader, treasurer and secretary) and we agreed to set it up in our association. At the beginning some people were reluctant to use it. They found it difficult to connect on the platform rather than communicating directly on Facebook. They didn’t get used to it enough to fully make use of the application and its features. Eventually they felt better and handled the notification system better. Now even they acknowledge there was an obvious efficiency in using Azendoo completely. Can you give me a concrete example of how you used Azendoo for a mission? 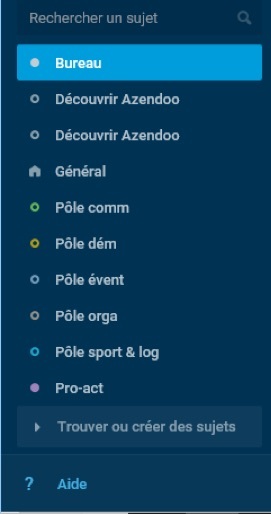 For instance Azendoo lets the project manager and secretary share information about completed tasks or assign a new task according to the mission plan. How did Azendoo help you reach your goals? Since we started using Azendoo we noticed there was less information scattered around. Instead we have more accurate and concise information. We noted better organization and this really benefits our project. To give an example, since we’ve been posting meetings in Azendoo no one turns up late. In the same way messages sent on Facebook went down by 50%. Who would you recommend Azendoo to? We recommend Azendoo to any team that needs a global view of project follow-up. Especially those people who want to accomplish that by efficiently planning milestones and with precise communications. I recently joined the Marketing and Sales team at Azendoo. Deeply enthusiast about new tech trends. 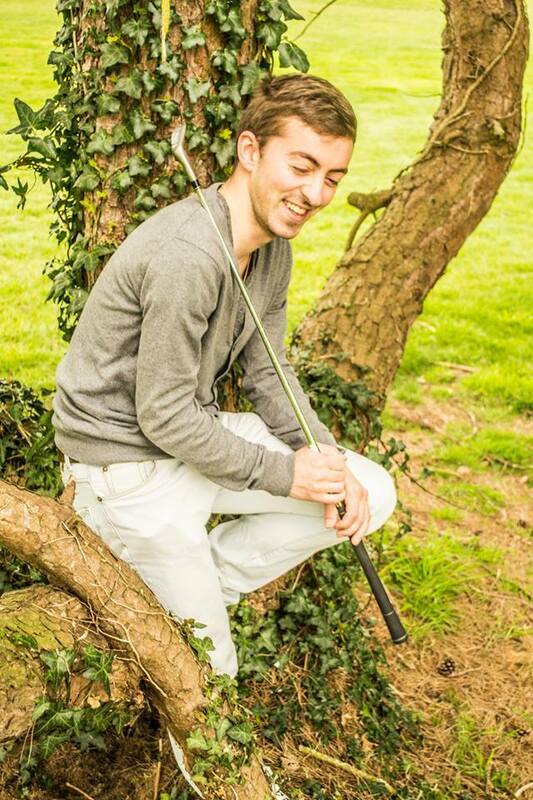 Made in Britain and golf addict.